Throughout the 1950’s, 60’s and early 70’s, most used oil was disposed of by simply dumping the oil onto the ground. Used oil disposed of in this manner can interfere with the operation of sewer systems and can easily get into our groundwater and streams. In fact, only one gallon of used oil can contaminate a million gallons of drinking water. Today, the most common method for disposing used oil is to use it as an industrial burner fuel. Although this method is better than simply dumping the used oil, industrial disposal by burning depletes resources and causes excessive air pollution, which is a very low-tech approach with negative environmental impact. Used oil is a hazardous waste that pollutes the ground and water – and when burned as a fuel, it releases harmful metals and other toxic contaminants. Using modern state-of-the-art technology, new automated processing equipment, and a team of highly qualified personnel, the Como plant located in Duluth, Minnesota can re-refine up to 10,000 gallons per day of used lubricating oil back into high-quality base oils. No waste products are produced by the Como re-refining process, because the fuel found in the used oil is extracted and used as the heat energy to run the plant or sold as gas fuel. 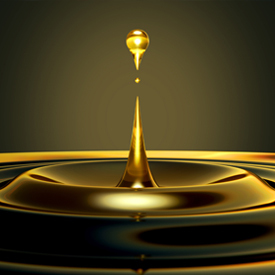 The water found in the used oil is also extracted, treated and used by the plant process for cooling and wash water. Lastly, the spent additives and sludge found in the used oil is extracted and recycled back into asphalt oil to be used for our roads and highways. With a specialized fleet of trucks, Como collects used drain oil across the Midwest from a variety of sources. Collected drain oil is safely transported to our permitted facility in Duluth, Minnesota and re-refined to produce water-white, superior lube base oils which can be formulated with additives, compounded and blended to produce a variety of lubricants – thereby closing the recycling loop from engine to engine. 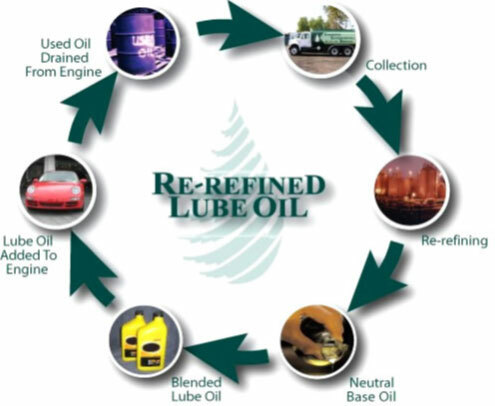 Engine oils, hydraulic oils, and industrial lubricants can be formulated with our re-refined base lube oil, with the same quality as virgin oils and with great benefit to the environment. Recycled lubricants made from Como’s re-refined oil are used by blending facilities across the nation, and can be poured into your engine with confidence. This closed loop, from the engine to the re-refinery and back to the engine, is the essence of Como’s business. Through the company’s recycling program, America can reduce both the drilling off its coasts and its dependence on foreign oil.